Superzoom cameras get a bad rap. Also known as 'bridge' cameras (forming as they do a bridge between compacts and D/SLRs) the physical design of the average superzoom is predicated on compromise. Their longer lenses and more traditional ergonomics make them bigger than normal compact cameras, but they can't offer the same large-sensor image quality as a DSLR. They're right in the middle. The only area in which superzoom bridge cameras can unequivocally eclipse DSLRs is zoom reach. Today's bridge cameras can offer zoom ranges that span ridiculous focal lengths, some from wideangles of 24 or 25mm to telephoto settings sometimes well over 1000mm (equivalent). They manage this feat thanks to their tiny, compact camera-sized sensors. You might not get stunning image quality at the extremes of the range, but that's the compromise. The FZ1000, as per the headline of this article, isn't just another superzoom. Even given the generational improvements in the class, the FZ1000 is a genuine leap forward. The FZ1000 improves on the traditional strengths of superzoom cameras while greatly mitigating the usual weaknesses. The first and most obvious sign that the FZ1000 is a little bit unusual is its 1-inch type sensor. Although not as large as the APS-C sensors in most DSLRs, 1 inch is a considerable improvement on the 1/2.3in and 1/1.8in sensors in conventional compact cameras. Certainly, my initial impressions of the FZ1000's image quality are very positive indeed and it's great to be able to say that about a camera in this class. I don't feel like I'd be making serious compromises on image quality if I picked up the FZ1000 in preference to an ILC for a weekend excursion, for example - certainly not at low to medium ISO sensitivity settings. Shot towards the end of the day, this ISO 125 image made a pretty dull JPEG but careful processing of the raw file reveals a lot of detail, and I've boosted the saturation a touch to bring back some of the natural warmth in the late afternoon light. The FZ1000's impressive image quality is of course not only a result of its sensor, but also its lens. At 25-400mm the FZ1000 lacks the telephoto reach of some more conventional bridge cameras, but the Leica-branded F2.8-4 optic really delivers the goods. I don't exactly love Panasonic's JPEGs, but we've been offered a beta version of Adobe Camera Raw with preliminary support for the FZ1000, and it's very obvious when playing around with the camera's raw files that at medium-low ISOs the images contain bags of detail. The combination of zoom range, lens quality and a decent sensor make a compelling package, especially for travel photography, hiking, biking etc., where you don't want to carry a lot of gear. Once you've turned the stupid operational beeps and clicks off (sigh) the FZ1000 is extremely quiet, but in 'silent' mode it is literally silent. 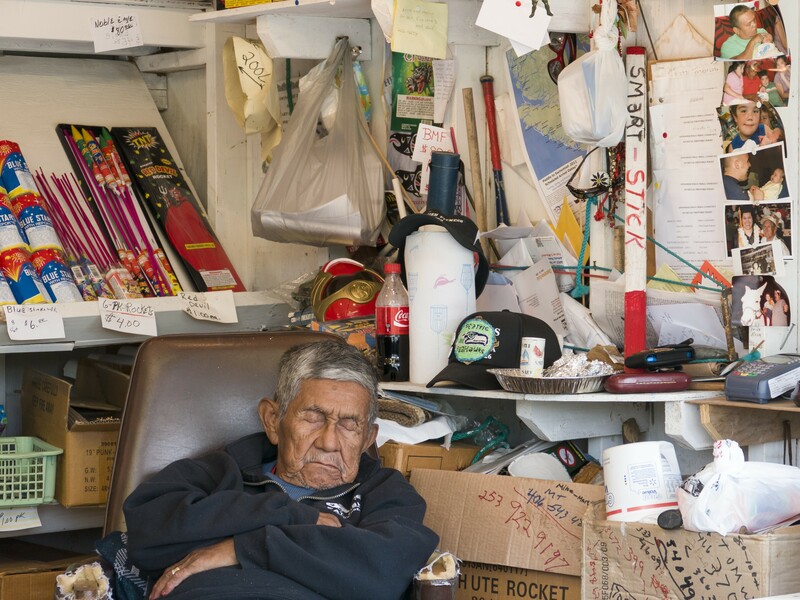 This makes the camera ideal for candid photography, like this 'grab' portrait of a sleeping shopkeeper (also created from a raw file). I only spent a day shooting with the FZ1000 but I did say 'wow' more in a few hours than I have for a while. Partly, I must say, due to the FZ1000's AF performance, which is seriously impressive. AF acquisition is extremely fast and for static subjects it's pretty well rock solid, even under interior light. My colleague Richard didn't have a 100% success rate shooting moving cyclists, but at 12fps I know he got more in-focus shots than he was expecting. Getting anything in focus on a camera of this type when your subject is zipping towards and across the frame is a novelty, to be honest, and Panasonic deserves credit here. 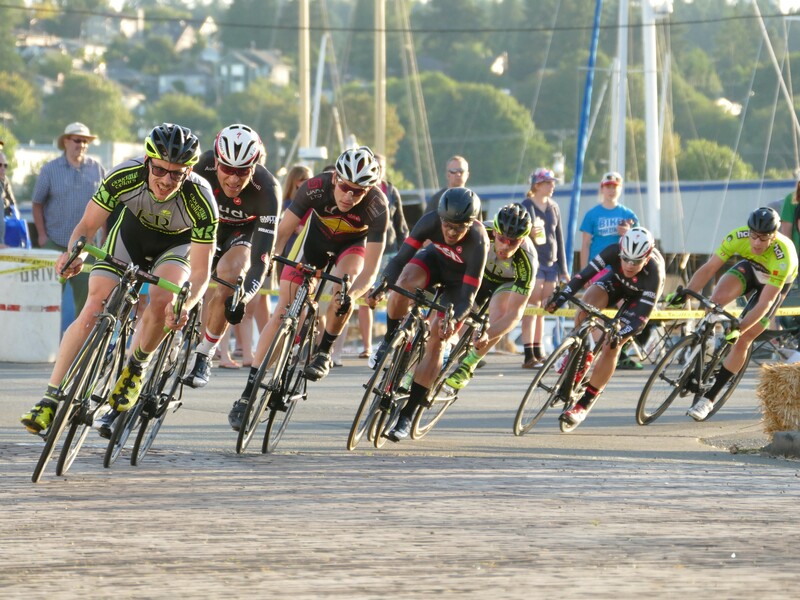 A local bike race offered the opportunity to test how well the FZ1000's AF system copes with tracking moving subjects. Focus tracking wasn't terribly effective in this situation but it's a tough test and continuous AF gave a reasonable hit-rate at 12fps - certainly compared to our expectations of this class of camera. As well as stills the FZ1000 offers a very competitive video specification. Capable of recording 100Mbps 4K video (with a moderate sensor crop) the FZ1000 immediately stands out from its class, and joins a very exclusive group of 4K-capable stills cameras. It's no GH4 (if you want 24p footage for example you can only shoot at HD resolution using the AVCHD file format) but we didn't expect it to be. If you have no interest in video capture at all, you'll be reassured that Panasonic doesn't seem to be charging all that much for the feature. At an MSRP of $899 the FZ1000 is a full $500 cheaper at launch than the Sony Cyber-shot RX10, which offers half the FZ1000's maximum bitrate in full HD video mode and less zoom flexibility - albeit at a constant F2.8 aperture. The RX10 certainly feels nicer in my hands (the FZ1000 is a little plasticky in comparison) but in my opinion that's a small price to pay for... well, a smaller price to pay. When we reviewed the Sony RX10 we said that it was difficult to assess given that it had no direct peers. Well, it certainly does now.We'll be comparing the FZ1000 and RX10 in more detail in the coming days but for now, it's very clear that Panasonic's latest compact is not just another superzoom. Read our detailed first-impressions review for more information, and check out our gallery of real-world samples. I have to say, I find the images soft and either grainy or noisy (depending on how you look at it, perhaps?) at 100%. Lots of chroma noise/speckles on the airplane wings, etc., extreme softness/fuzziness on items in the vender's stall, etc. I do a lot of shooting with an FZ150, often at several hundred yards with full zoom, and these images are a bit disappointing by comparison, when you consider that the FZ1000 has a 4x larger sensor (in terms of area) and 20mp (vs. 12mp for the FZ150). Coming at it from the other end, I also do a lot of shooting with a GH3 (MFT, 16mp) with a 100-300mm (again, often at long range and full zoom) and these images are quite a bit less crisp, and exhibit more grain/noise. I wouldn't expect equivalence, but I would think they would be closer. The FZ1000 definitely has a great feature set, including very good zoom range and 4K video, but quite frankly I am having second thoughts due to the fact that IQ doesn't seem to live up to sensor specs. Beautiful product, and just what many comments here asked for when Bridge-Cams with lower specs appeared before. Just as a side remark, there is a real competitor out now, the Tamron 16-300 with any APS-C body from Canon, Nikon or Sony-A; with little difference in weight, size and price. Differences in optical performance remain to be reviewed. But the possibility to swap the zoom with for example a bright prime lens on the same body would be a real plus for the APS-C combo. I admit to being a fan of "bridge" cameras. The joy my Kodak P880 (loaded) gave me is equal to my K-5. The P880 do it all 24mm - 140mm camera with superb color/hue accuracy (Imaging Resource review). I had the 1.4x t-con which gave me 200mm, it was not enough reach for serious bird shots. Panasonic has always been a serious player. The FZ30 (50) (35-420mm) and Sony with its APS sensor 24-120mm DSC-R1, where classics. But to get 420mm meant a small sensor. So The bridge camera is a great camera for many people. Who may then upgrade to ILC. Who knows maybe this is the future of digital photography. A camera that can do it all. Its not out of my belief that we will have cameras like the Panasonic FZ1000 that rival the Pentax K-3, very high quality lens of 16mm-450mm, sensor- APS, weather resistance, macro and video. It would be a serious thing to look at for all enthusiasts. And pixel-peeping the pics shows a huge jump in IQ from the old classics. I just like the concept! - 4k video up to 30 fps! The only things you do not get in the FZ1000 are dof preview and white-balance bracketing. I would miss the ability to use some higher quality primes and to get down to use my 9-18mm lens. I think Sony (Zeiss) has finally crossed the threshold into unequivocal par or superiority over Panasonic (Leica). Sony for me next time. "Wake up Roto,, your having a bad dream!" Coke Bottle lens dept still hold the Sony lens element contract! Their codec is poor and their 4K vid ..... Isn't! How (in the world) do you (illogically) claim that the news of this Panasonic (with 4K video, longer zoom and lower price) supports superiority of Sony (with a more expensive and lesser specced camera)? UFRaw extracts raws from this Panasonic reasonably well. There are more raws over at Imaging Resource. Um, huh? Why bring up jpegs? Why would anyone planning on doing more work on an image extract to jpeg? In fact UFRaw doesn't do a great job with these FZ1000 raws, but it does allow you to look at them, sort of like Sony's Image Data Converter and raws from the RX100III. It's not that I have anything against GIMP as free ware, but UFRaw just isn't that capable--it has for example disastrous noise reduction. Your claims about Denoise tell me you don't know much about NR. Also Denoise is not in GIMP (at least 2.6). Densoise in UFRaw is crappy at noise reduction--unless something has radically improved in the last 12 months. Your further claims about jpegs from UFRaw into GIMP also make the point that you're not real invested in high image quality from raws. Indeed there are reasons to edit tiffs after extraction from raw. Tiffs aren't particularly big--even from a Nikon D800. GIMP 2.6 doesn't have this "wavelet denoise" thing you keep referring to, now it could possibly be added, but given how bad other freeware is at noise control, I don't entirely trust your claims. Noise reduction within UFRaw remains not great--it's called denoise in there. Noise reduction in say Bibble 5 or DXO8 wasn't as good as the big boys either. Even the new, and good, PhotoNinja has problems where the big boys don't. Aftershot Pro V2 and DXO9 both show promise. Haven't used the beta of the new Capture NX, but it was always a problem when I tried earlier versions. Silkpix is a joke. So are RawTherapee, and DCRAW, so that's a reason I don't trust clams about NR with GIMP. I looked at the GIMP website for information about WaveLet Denoise--not there or in GIMP 2.6. I'll try Wavelet Denoise, if I can get it to install into GIMP 2.6. But it's already failed twice. Maybe I'll be surprised and find it to be the greatest thing for NR. Unlikely, since TopazDenoise isn't great when working within PhotoShop. Reason tells me to try Wavelet Denoise, but reason also makes me suspect it won't be particularly special for NR. So I just looked at UFRaw's extraction routine again and I note that real prominently while extracting it says: "WaveLet Denoise" across the bottom. I knew there was a reason I didn't trust claims about WaveLet Denoise, but I'll still look for the GIMP plug-in and see if if will install. I think the future is 1" compact cameras and FF for enthusiast / pros. Bridge cameras such as m4/3 and APSC will die out. ○ Bridge & 1" (Nikon, other?) gets brighter and more capable, maybe displaces m4/3, and both displace APSC. m4/3 will hang on as long as it innovates lenses and keeps size as low as 1", also because 1" cannot make bodies too small or they feel difficult to hold; ultimately 1" will win, UNLESS cellphones get suddenly larger sensors, in which case m4/3rds may have advantage in comparative output. ○ APSC mirrorless (Fuji, Sony) and APSC dslr (Canon, Nikon) becomes "like Fullframe" upgrading from 1" or m4/3. ○ Fullframe mirrorless becomes highend to APSC mirrorless, primarily used with primes and exotic lenses. ○ Fullframe DSLR (D800+) becomes "like Medium format", the big, bulky, power machines, which fewer and fewer will lug around as APSC and 1" improves. How about a 4/3 fixed 'super zoom' @ 12x►14x, or is that beyond the technology keeping it about the same size body of a 1" sensor. . . ?? In your future tests, I hope you will test video resolving capabilities at full open and stopped down. Most are not testing video resolution and this "4K video" is getting totally out of hand. 99% of those cameras cannot even resolve fully 1080p lines, not to mention anywhere near 2000 lines. Those sample photos from the FZ1000 don't look too sharp. The RX10 is perfect for my use. Hope you guys can get some better photos from this cam. Its a bit bigger than I would like but smaller and less expensive than a 1 V3 with the minimum of 3 (slower) lenses that would be necessary to cover the same range in 1" format. Been looking for a compact versatile alternative for activities like hiking, biking and climbing where my FF DSLR and lenses usually get left behind. Mulling over Nikon 1 series, M4/3 and Fuji X series for a while now but each of these requires a substantial investment and I don't really want to build and maintain a whole second system in parallel with my FF gear. Keen to see how the reviews pan out. Same here. Exactly the same thoughts. If Nikon doesnt get its act together and make brighter sensors and brighter lenses at REASONABLE COST (no 1000$ per lens nonsense which we know for a fact is 2-3 times more expensive than necessary), then it suits me just as well to get this Panasonic or the RX10 for light travel. Nikon has to realize that this is their N1 competition. 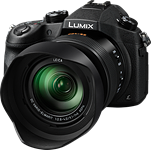 According to the announcement in DP Review the Panasonic DMC-FZ1000 will become available for USD 897,99 and Pound 749,99. At the moment the equivalent of USD 897,99 is Pound 523,63. Does this mean that the FZ1000 will be 43 % more expensive in the UK than in the USA ? That can't be true. Somewhere in the announcement a mistake must have been made. What are the facts ? I wonder if the FZ1000 also does full sensor reading during videos? I could get interested in a dedicated telephoto camera like that but overall I think the market is just too small to make such a cam commercially viable in a fixed lens format. I own a FF DSLR and some long fast glass. From experience, I can say that acquiring and focusing on subjects with a fov longer than about 700mm is quite tricky. Reach is not the ultimate panacea....in terms of image quality nothing beats getting closer to your subject. No matter how advance this 1' sensor is .... the result is as good as a burnt popcorn with sour mayonnaise ... for $900 that's what you get ! The previous batch of "serious" bridge cameras had 5/8 to 2/3 inch sensors (1:1.7 or 1:1.6). A few of them also had fast lenses, f1.8 to f2.5 on the Zuiko-baked versions, for example; so the fast lens to mitigate the not-so-great ISO performance was a welcome sop. These 1 inch sensors are about a stop and a half better at the sensor level, so they fit right between 4/3 and 2/3. What a surprise! What makes sense for the FZ1000 and the RX10 is the long reach of the zoom lens WITHOUT the f-stop fall-off typical of DSLR and ILC long reach zooms. At the short end, these cameras are out gunned by the DSLR and ILC sensor/lens combinations. At the long end, you can expect it to be the other way around because there are NO affordable long zooms with f4.0 at the long end. f/4 on 1" sensor is equivalent f/11 on full frame, or f/8 on APS-C.
You can easily find FF / APS-C lenses with f/5.6 on the long end. Mostly -300mm ones, but.. just crop it a bit. Yes Shadoww from a DoF point of view that is correct but usually when you use a long focal length you also want high shutter speed to limit blur and capture moving subjects (sport or wildlife) and with a slow lens this drives you to high ISO values.....and their noise burden. 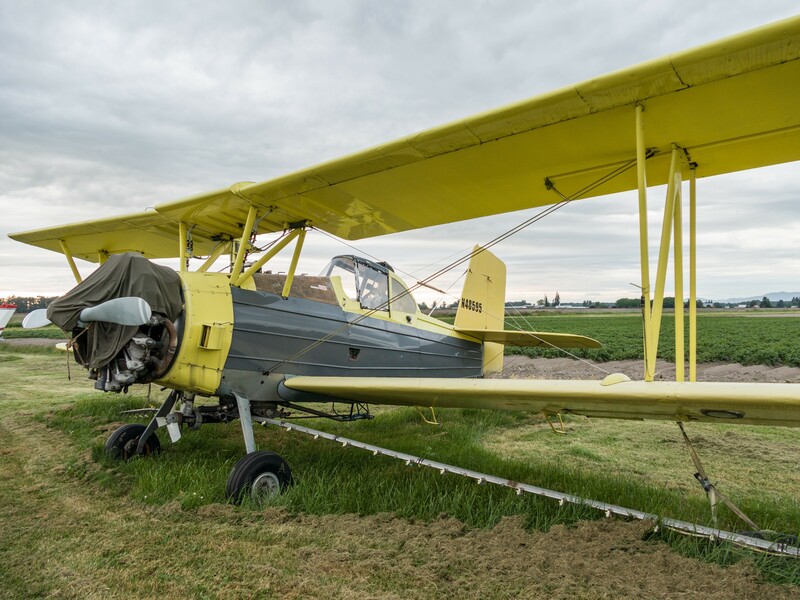 In this respect the f4.0 lens at 400mm fov combined with better high ISO response from the bigger sensor means that one should get faster shutter speeds with less noise than the small sensor superzooms. No doubt a M4/3 or APSC with appropriate lens can do better but only at significantly higher cost. I think Pana spotted an unoccupied niche here. The costs wouldn't be much higher, though. Nikon D3200 + Nikon 55-300mm would cost around same ($900), and provide superior quality. It would be somewhat disadvantaged by weight and portability, though. This camera is much more compact than DSLR + tele-zoom combination. A 55-300mm isn't 24-400 and as you say, the Nikon bundle you suggest is larger ... So your point is? The Nikkor 80-400mm FX zooms are $1850 and $2700 WITHOUT the camera. The new 18-300mm DX zoom is not eligible for comparison here because the long end is f6.3. The older version is $900, Although it is f5.6 at the long end, the APS-C sensor bestows a one stop advantage so net sum is even steven, superior quality pooey. The FZ-1000 WITH lens costs less than the DX lens alone. gmke, the f/6.3 at long end with APS-C sensor size still has more total light available to sensor than f/4 of this Panasonic. So it still is eligible for comparison. But this thing has multiple selectable apertures (at a given focal length) How this is called, variable iris or something? ^Forgot a question mark, my previous posts was a question that it's maybe too stupid or something so secrte that nobody knows it. But this thing has multiple selectable apertures (at a given focal length) ? How this is called, variable iris or something? I still find it head-scratching that the RX10 and FZ1000 are praised for their performance and image quality, while a Nikon 1 camera with either of the 10-100 superzoom lenses is held is such low respect it doesn't even warrant a word of disparagement. The Nikon 1 cameras can be too pedestrian for someone chasing ultimate photo quality, feature or value in the sea of cameras. There is plenty of quite fans of the system like me. I am dedicated follower of what gets me the results I like, not just features or brand. I think it the Nikon 1 cameras were good enough idea that others are following with their own 1" sensor camera that could be better or worse in some ways. Sony, Samsung, Panasonic, maybe Fuji soon. Not the same mount, but more followers for the digital sensor size than M43. the nikon 1's are being compared to its mirrorless rivals, which produce better general IQ. this superzoom is being compared in the superzoom range, to which its IQ is great for its class. you'll note that they compare m4/3 IQ to apsc IQ within its mirrorless category. the sensor size is not really a factor. it's the category that's being compared against itself. But I also think that most consumers simply do not like the complexity of ILC, the inter-changeable lenses. The Nikon 1 is made to have interchangeable accessories. That is why the Pana developments like FZ72, FZ200 and FZ1000 (and recently the Sony RX10) draw so much attention: they aim to be "the one and only camera you need to own", the ultimate consumer camera. I agree with all the replies, as that's clearly the reasoning here. However, doesn't it seem odd to anyone that the "superzoom" class is defined not by the zoom lens, but the inability to remove it!? Richard, why would you want to remove the lens? I wish I had a 2.8-4.0/24-400mm eq collapsible lens for my DSLR. I wouldn't have changed it too most of the time.
" while a Nikon 1 camera with either of the 10-100 superzoom lenses is held is such low respect "
OK, let's take Nikon V3 with 10-100. It's sensor has 2EV lower DR in good light, it's lens is 1-2 stops darker affecting its low light performance, the lens lacking on wide end compared to both FZ1000 and especially RX10, and long end compared to FZ1000, the combo is more expensive than either, and it does not even have built-in EVF! "and it does not even have built-in EVF!" Funny how Sony fans were happy to do without an EVF at all until Mk. III rolls around, and all of a sudden its indispensable! The V3 EVF is removable. It a bit bulky with it on, I admit (I prefer the V1 design) but in return it has an amazing magnification. The viewfinder image may not be quite X-T1 sized, but its close. Nice article, but I think you went wrong in the first paragraph - the problem with most traditional superzooms is they are not right in the middle - they use the exact same sensors as compact (often non-enthusiast) cameras and so are all tilted to the zoom side. This camera and the Sony RX10 are in the middle - less zoom, more sensor. Slightly the Fuji XS-1 as well, but it tilts toward zoom as well. I don't think there has been any superzooms in the middle until recently. The first paragraph deals with physical size - it's that respect in which I meant they were 'in the middle'. "I don't think there has been any superzooms in the middle until recently." I disagree. The 2yo Pana FZ200 was the first super-zoom in the middle. The FZ200 uses a 1/2.3" sensor - it is below most compacts in sensor size, hardly in between compacts and DSLRs (or even m4/3). A Fuji 2/3" sensor, even better a Sony or now Pansonic 1" sensor is in the middle. It's a super zoom, not going to convince me otherwise. Does the FZ1000 preclude a successor to the FZ200? This release just adds to my confusion on choices. I'm still shooting the FZ35 and a GX1 for infrared, but was looking for better IQ and a camera that doesn't control me with it's sluggishness. The FZ1000 would do all this and more, but the IQ is still lacking if I compare it [studio scene] to the Fuji X-T1, which is on top of my list. Also I like the design of the X-T1 much better, or that of the Olympus M1. But this camera seems to have equal IQ to any MFT it seems. It's become so darn difficult with all the choices, and now DPReview is drooling over this camera, which makes it even harder for me to decide. Decide first what your needs as a photographer are...do you mainly shoot landscapes....or wildlife...or indoors, low light? This is a newer version in the FZ line.Different camera's for different needs. This should have the IQ in line with the Sony RX-10/RX100MIII, due to the larger 1" type sensor...plus newer features ..i.e.. better AF tracking , Capable of recording 100Mbps 4K video ...even more controls than FZ200. Faster startup and operations..and more. I don't think FZ1000 is a serious threat to a DSLR. For certain applications - maybe; but there are so many things FZ1000 cannot do, so I am certainly not ditching my DSLR yet. ISO buttons? We've have had those for a while now. And full frame is better in low light than APC, so why did you buy a APC camera? Medium format is even better, why not buy that? The fact that they implemented DFD on this camera is pretty interesting, I hope the AF system and CAF is thoroughly tested to see how much of a difference it makes vs previous bridge cameras or even something like the RX10... Panasonic execs/engineers had said just a week ago they would be implementing DFD across lots of other cameras, even compacts, and sure enough they have. I pixel peeped the crap out of it...both from its widest to the most tele. 12 FPS combined with DFD AF technology and at 400mm equivalent the performance is stunning. How it manages 24mm just as well if not better, also stunning. Focal ranges in between look good too. 4k with panasonics video chops. This camera is good news for *everyone* because I see a drop in price for just about anything else if you happen to not like it ;p. As a 6D owner, this camera is the #1 choice if I want to shoot higher FPS and tele. Much more economical and weight friendly compared to buying an APS-C + more telephotos or dealing with more lens swaps. I think the lens performance beats the A6000's 16-50 + 55-210 combination mostly because the Sony lenses are very so so. Glad I held off on the A6000 purchase. Does this shoot silent shutter too? Oh yah and 4k. Bridge cameras like this one and the RX10 or still what I consider to be sub-enthusiast level. The 1" sensor is too small to deliver quality IQ at any low light level. That f/2.8 lens on a 1" sensor is equivalent to a f/5.0 lens on an APC-S camera. Pretty darn slow for wide open, and thus rather lacking in low light capability. A f/4.0 lens on a 1" sensor is equivalent to a f/7.1 lens on an APC-S camera. So this camera basically has a f/4--f/7.1 zoom lens compared to APS-C DSLRs and mirrorless cameras. Meh! For the price of the RX10 you would be better off with a a6000 and a few good lenses. This one is cheaper, but still not worth the price for anyone who wants an enthusiasts level and above IQ. This is a mom/dad camera used to take little pictures to post on the internet. Again, meh! Please, for the love of GOD, stop with the "f/2.8 is equal to f/5 in light gathering ability" bullsh*t ! It's not, f/2.8 is f/2,8 on any sensor ! It's just the depth of field that is different, not the light that passes trough the lens ! f stop is a lens property, and just a formula at that. f2.8 is f2.8 no matter what. Is there a "1", µ4/3, APS-C, FF" switch on the side of your light meter? No there isn't. There is still some relative merit to the equivalency once you factor total light gathered by the sensor tho... I wouldnt put the camera down because of that, because its still a quantum leap over most any other bridge camera outside of the RX10 tho. It may not match an ILC with a brighter lens indoors, but itll definitely blow away many smaller sensor compacts even in daylight. Much more room to crop etc... If DFD has brought the AF up to snuff I could see a lot of people shooting action preferring this over many ILC. Theres room for it in the market, specially if priced aggresively in light of its only competitor. You guys need to get a physics book and read it. Of course f2.8 is still f2.8 regardless of the focal length. But another way to look at this may also be to consider how high an ISO is usable across different size sensors. All else being equal, maybe you can re-interpret f stop "usefulness" based on ISO and noise. So let's say hypothetically that a full frame camera will give three stops higher ISO performance than a smaller sensor camera, you could then say that this is also similar to having a lens that is three stops faster. No, that's not another way to look at it. On the one hand you are looking at the light transmission property of a lens; on the other you are looking at the light sensitive area. In the film days you could use a handheld light meter to take into account film ISO, shutter speed, lens speed. The same light conditions would read out, for example, for iSO 100: f5.6 x 1/125. You would then set your medium format camera, your 35mm camera, yiour 4x5 view camera, at f5.6 x 1/125 for an ISO 100 film and get the exact same exposure. Light sensitive area has nothing to do with light transmission qualities of a lens (measured in f-stops). This is not a difficult concept. This is photography 101. "But another way to look at this may also be to consider how high an ISO is usable across different size sensors. All else being equal, maybe you can re-interpret f stop "usefulness" based on ISO and noise." Then talk about "ISO usability" or "# stops quieter" or whatever. Please don't go down the aperture equivalent rat hole. @nicolaiecostel, if you think you'll get the same field of view and DOF with this camera and a 35mm FF camera using the same settings (say 25mm at f/2.8 putting the camera on the exact same position) then you missed your entire physics class all your life. The fact that aperture relates to opening vs focal length but does not use FOV nor DOF in that calculation clearly shows that you are attributing variable effective calculations based on sensor size to the known physics of aperture. That in itself shows that there really is not effective aperture but rather effective FOV and effective DOF. Why not just call them what they are and use EFOV and EDOF like we use EFL instead of trying to redefine aperture? If I am considering buying a small sensor camera with a fast lens for low light work I understand that alternatively, I can shoot in the same low light level with similar noise characteristics using a larger sensor with a slower lens and a higher ISO. All of these factors make up the end result... ISO, focal length + lens speed (light transmission and depth of field,) sensor size, resolution, and noise quality. However, I am not sure if anyone is making tests for the entire package - e.g. the way to get the best low light performance in terms of resolution, dynamic range and noise, using the smallest camera and lens with the most depth of field. Understanding all of the possibilities is how to decide what camera to use for what application. Okay, here is a comparison. If you take a photo with a FF camera where the lens is 24mm and ISO is set to 800 and aperture is set to f/2.8, to duplicate that exposure on this camera will require 24mm equivalent (8.8mm) and ISO 6000 and of course an aperture of f/2.8. Which camera has the least amount of noise level for this photo? FF of course. Which camera has the best low light ability for this photo? FF of course. Which camera has a BS f/2.8 aperture setting that is totally meaningless when compared to larger sensor cameras? This 1" sensor camera. Anyone who thinks this little sensor camera can be set to f/2.8 and duplicate the photo exposure, low noise, an IQ of FF or even a APS-C using the same settings is quite delusional and extremely confused. Your an idiot. , an elitist F - ing idiot , photography isn't about clarity nor deptth of color or if I blow it up to 40x60 that I can see pixels .. It's about creating a soulful experience through an image that the mind accepts as real because it has compartmentalized the word Photo to mean real. .. If this camera can deliver that for a visual artist then it's a home run .. If your more intrest in the " clean capture" then your nothing more then an photo chimp , not creating but replicating a soulless image .. Just idiotic way to be. ..
What's with all the Full Frame comparisons? Are you afraid that your newly established empire is cracking because of the FZ1000? Do you seriously think this camera has nothing to offer? It must, or you wouldn't be trolling the P&S stories looking for stones to throw. I suggest either taking off your blinders or pointing them back to the FF forums where the "real" photographers hang out and drink kool-aid. Amazing how understanding equivalence is above the intellectual level of too many people here. You are baiting your own hook. Enthusiast: a person who is filled with enthusiasm for some principle, pursuit, etc. ; a person of ardent zeal. eg a sports car enthusiast. Nowhere does it say an enthusiast is defined by their equipment. "This 1" sensor camera. Anyone who thinks this little sensor camera can be set to f/2.8 and duplicate the photo exposure, low noise, an IQ of FF or even a APS-C using the same settings is quite delusional and extremely confused." Yes but that is only one way to look at it. The smaller lens and sensor will give much more depth of field at f2.8, so if that is what you are looking for, it may be a solution. I found similar improvement in gaining more depth of field by moving from 4x5 to 6x9cm. I ended up needing f16 on some interior shots instead of f22 due to the shorter lens. This meant needing half the number of flash units or fewer multiple pops. Now I am shooting on FF 35mm instead of 6x9 and may only need f8 with a 24mm lens. Thus I can use much lighter strobes. If you go to a 1 inch sensor with 9mm lens & can use f2.8 and get enough DOF for a group photo, or interior for instance, it will be possible to use much weaker supplementary lighting at a given ISO. "Okay, here is a comparison. If you take a photo with a FF camera where the lens is 24mm and ISO is set to 800 and aperture is set to f/2.8, to duplicate that exposure on this camera will require 24mm equivalent (8.8mm) and ISO 6000 and of course an aperture of f/2.8. Which camera has the least amount of noise level for this photo? FF of course. Which camera has the best low light ability for this photo? FF of course. Which camera has a BS f/2.8 aperture setting that is totally meaningless when compared to larger sensor cameras? This 1" sensor camera. Anyone who thinks this little sensor camera can be set to f/2.8 and duplicate the photo exposure, low noise, an IQ of FF or even a APS-C using the same settings is quite delusional and extremely confused." I can set my 5D Mark II with a 28mm f2.8 lens, and my Ricoh GRD III with its 6mm lens set at f2.8. With the same shutter speed and ISO, THE EXPOSURE IS THE SAME! Stop conflating exposure with noise character and quality. Depends as ever what you need it for. I travel a lot, and a bridge camera provides lightness and portability - and for that I am prepared to forgo the last few percent of image quality. Would not buy one for low light or action stuff, but that's not what I do. iPhone 5s is great too, and it's always available. Back in 2006, I participated in acworkshop with famous landscape photographer David Muench. He used to use almost exclusively 4x5 and 8x10. Canon tried convincing him, in the 90's, touse 35mm film: grants, cameras, support, sending late Galen Rowell before his crash to convince him.... To no avail. His biggest challenge back then: finding a good tilt to shift the DOF plane, to cover the foreground, midground and background, while limiting loss of resolution due to diffraction (f64?). If the background included high clouds or mountains, it was tricky to achieve good DOF with diffraction issues.
. Photographers interested in large DOF, low ISO, and portability: great camera for them. Landscape, real estate, group portraits, travel,..
With current prices of equipment, most serious photographers will own and operate multiple cameras. And they select the right tool for the right mission. Enter the trolls who claim "They had it". super awesome. Pani is dueling with sony and us as customers are the winners. Ive been waiting for this type of camera for 4 yrs. Sony almost had me with the rx10 but a bit pricy for crappy codec. If by dueling you refer to business partnership, then its Olympus not Panasonic that Sony is invested in. He means competition between companies is good for the consumer. The bar keeps getting raised and prices keep coming down. Looks like a very nice camera, although a bit bigger than I'd like. Great competitor for the Sony RX10, with the same Sony sensor! Another win for Sony and Panny. No headphone output and apparently (not mentioned, anyway) no manual audio (which would be pointless without monitoring, anyway). At least Sony were smart enough to include these BASIC features on their RX-10. It has a microphone jack or you can use an external audio recorder like most people do anyway. An External recorder is cheap and about 100x better. This is going to kill the RX10 (which as only half the bit rate and can't do 4K) and AX100. It may take away some GH4 sales too. The RX10 costs $400-500 more, has a much short zoom, can't shoot 4K, and uses the same sensor. Why pay $400 more for less? I expect Sony to drop the price on the RX10 pretty quickly, if they notice a sudden drop in sales. So the price issue will be sorted by the market. I would expect the FZ1000 price to drop in under 6 months too, because well, its probably gonna go unnoticed by a lot of people and anything Panasonic seems to see sharp price drops mere months after release regardless of how its received critically... Im not complaining, Ive bought three Panasonic cameras in the last year (one at MSRP, one at close to it, one with a decent discount), their US distribution/pricing/etc is just wonky. To Impulses: the price will drop, sure, but good models in the FZ range do get quite a loyal following and prices remain higher than for compacts etc. Resale value is a bit higher as well. When the Superzoom camera first hit the stage they were all around 12X models. The recent trend to 30X, 40X, and 50X or more zoom ranges is really a different animal. These are Ultrazoom cameras. 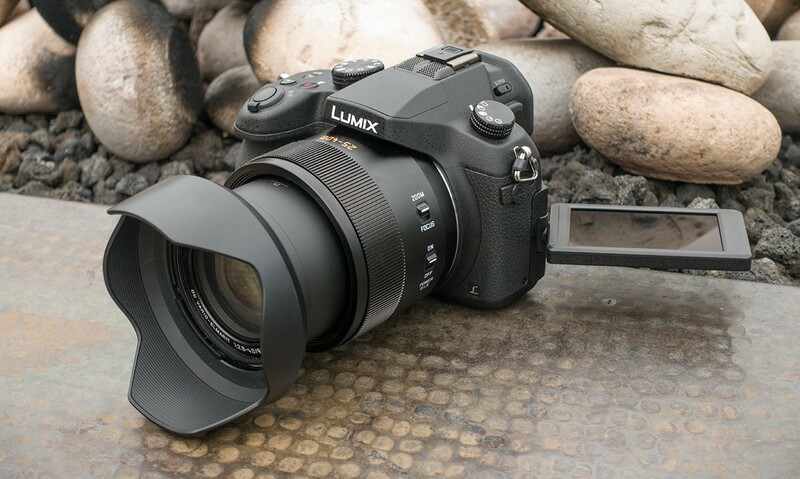 Panasonic made a wise choice by cutting back the zoom range so they could employ a larger sensor. Having used Superzoom cameras before, I can tell you that the top end of the zoom range is pretty much useless. Unless you like muddy photos. It has been a while since I have used an all-in-one superzoom camera. But I share your experience. At the telephoto end, images tended to lack sharpness and detail. Forget about low light shooting, as the images were as noisy as a busy nightclub. Maybe camera sensor and lens technology have improved over the years, resulting in improved IQ in these superzooms. On paper, the FZ1000 does appear to be an intriguing product at a reasonable price point. My first digital camera was one of the first superzooms, the Oly 2100UZ, so there's a special place in my heart for these types of cams. This Panny really has a fantastic feature set, especially the AF speed. Now I know what camera to recommend my hiking friend who is tired of lugging his FF Nikon with him on long backpacking trips. this camera.. finally. the all-in-one fit for professional use. mainly as a sidekick or supporting second camera, but even as a backup. maybe not top of the heap in some categories. but more than good enough in all of them. after years of hoping, waiting, cursing, etc the FZ1000 combines features where one or more were left out from each and everyone of all RX, all DSLRs, all µ43 and so on. Re: superzooms, I think it is a selling point to say 10x or 20x zooms and I tend to think the smaller the zoom, the better the lens. 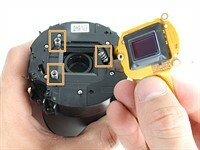 - the sensor sizes were bigger, at least 1/1.7"
- optics manufacturing quality was not of cheap feeling and reputation. I'm talking about devices like Sony F717, F828, Fuji cameras (S6500fd, S9XXX, S100fs, S200exr), Panasonic FZ30, FZ50, Minolta AXXX, etc. Sadly, this category of devices died out - the last one of them was probably Fuji X-S1 (but that one was unfortunatelly hampered by the overambitious lens design). Their extinction coincides very well with the advent of mirrorless, but also with arrival of their low-cost (but high zoom) siblings - the superzooms. It seems that the true "bridge" category is back. But the ingredients are still the same. I couldn't agree with you more... Although I have since moved on to a Sony A77, I still have my beloved Panasonic FZ50 (in mint condition) which my eldest son uses from time to time. Ah, the FZ50! Loved mine dearly, until it got dropped in the sea. This one looks like a fit successor. I still remember the day when I cursed my F717 while trying to capture jumping orcas in San Diego zoo. When I returned, I got Canon DSLR and never looked back. Bridge cameras will be truly "back" when they close the gap to DSLRs in autofocus speed. How do FZ1000 and RX10 fare in that department? That's what I would like to know (first hand, I should add). @Rachotilko: I completely agree on your "historical" perspective, and there's always been some overlap between superzooms and the (original) bridge class. I wouldn't categorize one of todays superzooms with 1/2.3" sensor a bridge model though, but Canon's G-series and G1 X are bridge cameras IMO (even though the G1 X II lacks a viewfinder). 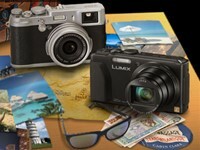 Other current bridge models are Nikon P7800, Fuji X20 and RX100 III. The FZ1000 is both a superzoom and a bridge model, and currently the only one IMO. RX10 is of course a bridge model, but I wouldn't call anything with less than 10x zoom a superzoom, but there are of course no official categories. 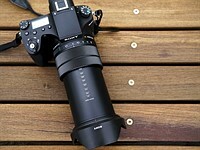 Please, add to the comparison an aps-c or a u4/3 with 18-200/14-140 lens! agree, but if possible with a 18-300 or even better; THE 16-300!!! Preatty please with sugar on top!!! It seems most of the mirrorless alternatives would probably fall behind at continuous tracking unless youre comparing it with a GH4/EM1/A6000 (2 of them, cost significantly more), that will get addressed in time as DFD and on sensor PDAF migrates down to cheaper M4/3 bodies. Lens wise, from looking at their equivalency graph, a 14-140 (less wide and 100mm shorter) would perform similarly... Maybe a little brighter at the wide end and slower at the long end. But a G5/G6 for $350-550 plus a 14-140 is more expensive, how much more depends on what kinda deal you catch and what body plus version of the lens you go for (as much as 50% more expensive or as little as $0). Size might be the most interesting comparison, I know a G6 plus the new 14-140 isnt any larger than an small DSLR plus standard kit zoom, so they are probably not far off. Edit: Dang, camerasize.com doesnt have the RX10 (much less this), nor the new more compact 14-140, the G6 probably ends up larger though. I bought G6/14-140 mkii for £650 less £100 cashback (£550). So this sz is much more expensive at £750. No. So it's not a 'take anywhere' camera. You're a fine writer, Barney -- in case no one ever told you. It seems Barney likes the FZ1000 way much. Personally, i'd like the RX10 more, because the 24-200mm Range is enough for 99.9% of everyhting, adding another 200mm focal length, minus 1mm into the wide angle segment doesn't make any sense for myself, no offence. It's the same like with so called "soup zooms" lenses for DSLR here into germany, a "one lens does it all" does have too many compromises, in optical terms. But i can see a market for the FZ1000 and RX10, etc...ppl who never want to exchange lenses, and to have it all, from wide angle to "supersizeme" telephoto focal length. For instance, for birders or wildlife photographers the FZ1000 might come in way handy. While I agree that 200mm maximum is enough (at least for me), I can understand that if someone gives up the flexibility of exchangeable lenses, he wants something truly universal, better that he can get in DSLR world. And Sony´ s 200mm are not that attractive (cca. 135mm on APSC, that´s what you can get from many DSLR zooms). 200 vs. 400mm is quite a difference. Is a 1" sensor with a 400mm equivalent lens going to crop down to give the level of detail from a 1200mm equivalent Canon SX50? I just do not believe it. If you want a wide angle shot and the detail take 2 pictures with your small sensor superzoom and save yourself a heap of money. Of course if you have the money to burn and do not mind the bulk and weight this will be a great camera. Well, I think epople buying RX10 don't want to change lens. Thanks for the article Barney. It gives us an idea what to expect and why you're excited about it - an understanding that could be difficult to glean from a standard announcement and a preview alone. I heard a rumor from an insider at B&H that CNN, Sports Illustrated, The New York Times, CSPAN, Vogue, Stars and Stripes, Digital Fisherman Weekly, Kim Kardashian, and Hamster and Gerbil Gazette all have placed pre-orders for the FZ1000. But the guy might a been goofing on me. He also said the word 'gullible' isn't in the dictionary. So I dunno. Never been interested in bridge cams, but this one stands out. I'm impressed!! Sorry about that - we like to keep you in suspense. The system for scheduling homepage stories is separate from that which schedules articles - hence the snafu. Hopefully you can see the article now, sorry about the break in service. Do you actually know what the acronym SNAFU means? If so, is it really appropriate? What is appearing then vanishing? Yes I know what it stands for. It's also passed so far into the vernacular that I'm perfectly comfortable using it. As for what is appearing then vanishing, I'm not sure what you mean. A comment seemed to vanish, but reappeared. Regarding SNAFU, arguably "glitch" adequately communicates the disconnect between processes sans residual overtones. However, I make that argument admitting to limited appreciation for a generational tendency rely on a dose of Sriracha to animate writing. Click the upper link - as of a few minutes ago the lower link at the end of the announcement wasn't active.